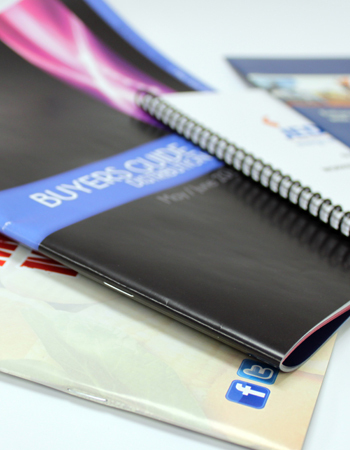 Your business has a lot to offer and there’s no better way to sell multiple products and services than by putting them in a high-quality booklet, manual or handbook. Let our staff of experts entice your customers or other businesses by showing them the products and services you have to offer. We’re the booklet printer you’ve been looking for. Please specify how many pages are colour and/or grayscale within "Product Details" field. Please specify "Other" and/or "Multiple" paper types within the "Product Details" field.